Disease: a disordered or incorrectly functioning organ, part, structure, or system of the body resulting from the effect of genetic or developmental errors, infection, poisons, nutritional deficiency or imbalance, toxicity, or unfavorable environmental factors; illness; sickness; ailment. (Thank you Dictonary.com for this helpful info, my emphasis added) The word oriented from two words DES meaning “without” and AISE meaning “ease” so literally a disease is without ease, I’m sure many of us can relate to that. When Japan had one of the worse devastating earthquakes and subsequent tsunami there was a lot of worry here on the west coast as to whether we would be hit by first off a tsunami but then the fear of radiation swiftly came. 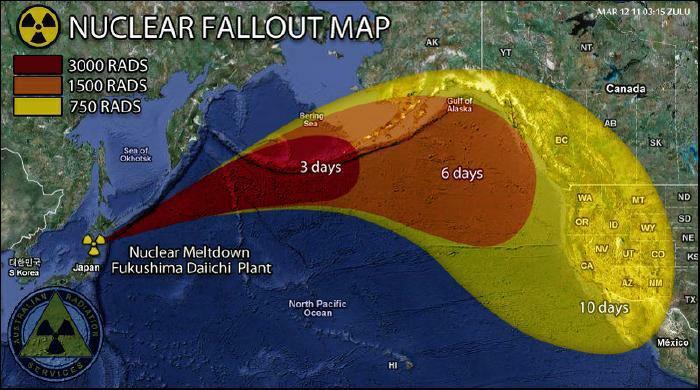 There were photos of the possible track of the radiation and how long it would take for us to have it hit here. A quick story. First off I didn’t start out in life being healthy or natural, although my Mom did tell me that when I was young she was very into natural things, I do wonder why she found it “too hard” to keep that going. *sigh* Anyway I was a typical person, I trusted every word my doctor told me, I got my vaccines at the exact time they were needed, I took prescription pills when they were given and I kept my mouth shut. That all changed when I was 20, for a year and a half I had 6 surgeries, none of them helped me heal. See the original surgery removed the “problem” but the next 5 were all the doctors “attempts” at making me heal. Doctors know two major things, surgery and prescriptions, neither of these things were helping me. I had a roommate whose dad was a Naturopath. With borrowed money (why would a health insurance cover something that actually makes you healthy?) I went to see him, he told me I was so depleted nutritionally and no amount of eating food or taking vitamins would get me back to normal levels. Why was I so unhealthy doc? Apparently when we are put under anesthesia, we are the closest to death we can get without dying. And in that state your body shuts down and thus you start to lose your vitamins and minerals. His solution was a vitamin mineral IV for several weeks. Not fun but it worked. Of course the MD doctors patted themselves on the back when I finally healed. Fast forward to 2006, I read Natural Cures They Don’t Want You To Know About. Everything that this book was saying was exactly what that ND told me when I was having all my surgeries. I had gone back to a normal life after being healed, but I did keep all those things in my head that Dr Campbell told me. Now they were all coming out in this book! It was life changing and eye-opening. My boyfriend (now husband) and I were in Florida at the time, he went along with everything I was saying, which included stop buying the garbage food and start shopping at Whole Foods (AKA Whole Paycheck). 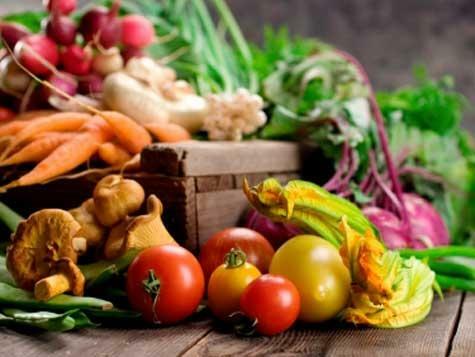 We started eating organic, we started watching the things we were putting in our body, and it was a good start. Nothing was instant, in fact it’s 2011 and I still feel like I have a LONG way to go. I have some friends who look up to us as their “model” for eating healthy and taking care of their temple, but I don’t think I’m the best model. We still have our moments of eating bad, and even eating out (shhh, don’t blow our cover). I haven’t seen the fruits of my labor so to speak. I am still over weight, so his hubby, we don’t work out as we should, and I don’t “feel” healthy. Now back to your regularly scheduled program….er blog. Most people have a iodine deficiency, which is why it was added to salt. Iodine is important to so many different things in the body, our heart, brain, immune system, thyroid, gastrointestinal system, hormones, ovaries, lungs, breasts, eyes, mouth, bones and blood. I mean, did we leave anything out? I just had a friend’s Aunt email me and say that she had a questionable mammogram, do you know what I suggested? Iodine. In fact I sent her several links about iodine and breast cancer, as well as a link to my $75 source. 😉 It’s not a secret though. Before we bought a pretty low source of iodine, that is why the stuff I get now is so expensive, it’s POTENT! But God thought of everything do you know there is iodine in seaweed, fish, lima beans, peas even a banana. Now most of these don’t have powerful shots of it, and most of us don’t eat enough of it to make a difference. It’s been three days since we have started taking our iodine, I have increased energy already and so does hubby. I am hoping for some weight loss, and did you know that it can even be used as an antibiotic? Those things cause so much havoc on our bodies by killing ALL bacteria even the good stuff in our gut. I can’t list it all, I really encourage you to take a look at iodine, and if you are interested I will even share my source (which is actually pretty cost-effective, but $75 at once is hard to swallow, they do have smaller bottles but the $75 is cheaper per weight than the other). Go to http://www.naturalnews.com and search “iodine” your body needs it so bad! I’ll keep you updated on my iodine experience. We are also adding something else to our diet, which I will get into in another post, but it’s all for health. As for taste, iodine tastes to me very “earthy” to my hubby and our friend it tastes like water or as hubby puts it chlorinated (or tap) water. Remember somethings are for health not taste, and that is my trade mark statement. So go get healthy, get your family healthy and remember that God thought of everything for us to be able to stay healthy and disease (without ease) free.